An Environmental Compliance Plan (ECP) signed by Mr. Martin Alegria of the Department of Environment (DOE) and Mr. David Gegg of Discovery Expeditions has caused great concern for environmental groups and individuals on La Isla Bonita. Namely, the plan gives clearance for an “underwater walking helmeted dive activity on a defined path, with a rope rail” and “operation of a floating barge with dimensions 42ft x 16.5ft housing the underwater helmeted equipment, air compressor and restroom facilities, to be located within the above specified project area.” Located in the Mexico Rocks Area of Ambergris Caye, near the Belize Barrier Reef, this Sea Trek location has brought up many questions. In a phone interview with project developer, Mr. David Gegg, he stated that this is in fact his second signed ECP for the proposed project. In 2007, he obtained the first signed ECP, upon which over $750,000 was invested for a thorough survey and research in their original area of choice, Tuffy. Based on their observations at Tuffy, it was deemed necessary to create contained walkways that would prevent any human interference or damage to the young coral that was observed thriving in the area. After all the research was conducted, concerns were raised by local fishermen and guides based on the fact that the area was used as a popular fishing destination. It was then recommended by Mayor Elsa Paz that as an alternative, they move the project to Mexico Rocks. Hence the second ECP for the new location was signed on April 19, 2010. In the evaluation at Mexico Rocks, a thorough survey was conducted in February with members from the DOE, Fisheries Department, a member from the San Pedro Town Council (SPTC) and members of Hol Chan. 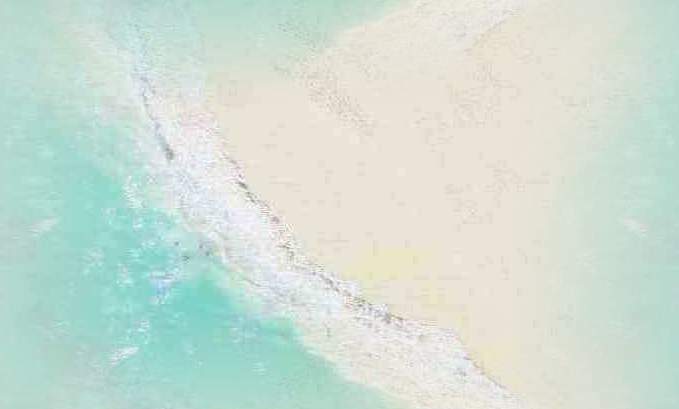 According to Gegg, the new location is actually such that there won’t be a need for walkways, but rather, handrails will be used to guide the underwater explorers at a depth of no more than 12 to 15 feet along the sandy ocean floor. One concern is that placing the handrails will cause sedimentation, but Gegg explained it is a simple railing system that is secured with weight blocks. As for the floating barge that supports the Sea Trek system, in accordance with the ECP regulations, the structure will be removed from the area on a daily basis. Ironically, the second location appears to have less environmental impact than the original location and would cost less for the developer. In Gegg’s opinion, Sea Trek means an entirely new experience to offer tourists on the island; it requires no specific diving or swimming skills, and can be enjoyed by people of all ages. Naturally, individuals and environmental groups are questioning why no public hearing or consultation was held on the project. Gegg’s response was that it was not deemed necessary as “We were given terms of reference by the DOE…we had meetings with the Mayor, as the ECP called for…as a matter of fact, I met with her ten days ago.” In a phone interview with Mr. Martin Alegria, of the DOE, he stated that the decision to hold a public consultation/forum is the responsibility of Local Government. In response to the environmental concerns, reports are that the Ambergris Caye Citizens for Sustainable Development (ACCSD) held a closed door meeting on Wednesday afternoon and the organization intends to release a public statement in the near future. According to the expert at DOE, Mr. Martin Alegria, the project cannot commence until evidence is shown to the DOE that the developer has received written approval from the Lands Department (for use of the seabed), the Port Authority (for navigational issues) and Local government (the SPTC). Once all approval has been confirmed, the project can be given the green light, and it is up to the DOE to ensure that environmental regulations are met throughout the duration of the project. According to Gegg, the project is expected to be underway as early as next week. Click here for more discussion.